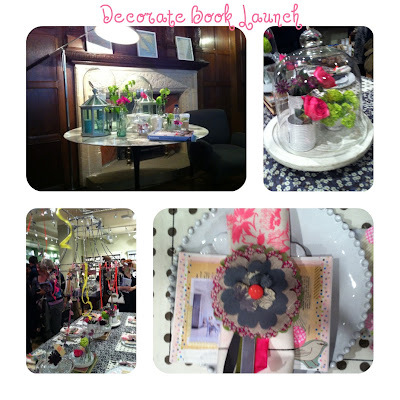 I had such a lovely time at the Decorate book launch. It was at the beautiful Liberty store which is one of the most inspiring places to go. I love walking in to the store past the gorgeous flower stall in the entrance way and in to the atrium where you can look up and see all the floors. 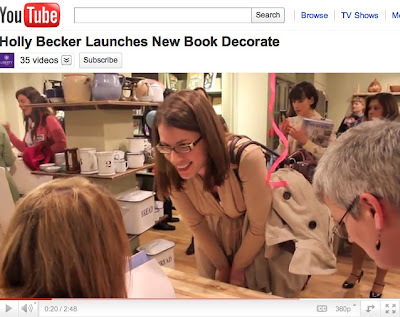 I was able to attend a small talk and discussion with the author Holly Becker (from decor8) before a table demonstration and book signing of her new book Decorate. Holly was so lovely and greeted each of us at the door at the start of the talk. She gave some background to the development of her design blog and how this book came out of that. I was struck by how warm, friendly and open she was. She was so down to earth and you could really tell that she was loving all that was going on around her. After the talk there was a demonstration of a table setting in Liberty's Dining Room which Holly, Leslie Shewring and Sania Pell had put together. I wish I had better photos because they put together a really beautiful and fun table. I really like the DIY touches that they did which included using the frame of an old lampshade and wrapping it with fabric (you can see it above in the left bottom picture) and the flower napkin holders they made (bottom right photo). 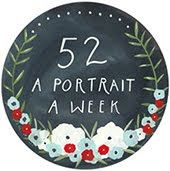 I especially enjoyed being in a room with so many women designers, stylists, and photographers that I really admire such as Debi Treloar and Emily Chalmers. Oh and I made it in the video Liberty made from the launch party:). No Response to "Decorate Launch Party"